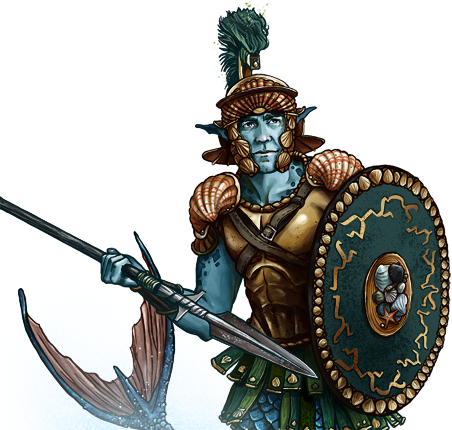 With their towering shields, the Merman praetorians form the elite guard of the watery realm. Their powerful armor and rigid discipline allow them to hold a steadfast line in the maelstrom of battle. In times of desperation, they can even do so on land, though not nearly as well as a creature with legs.